Discussion in 'Forza Motorsport 7' started by GTPNewsWire, Aug 7, 2018. 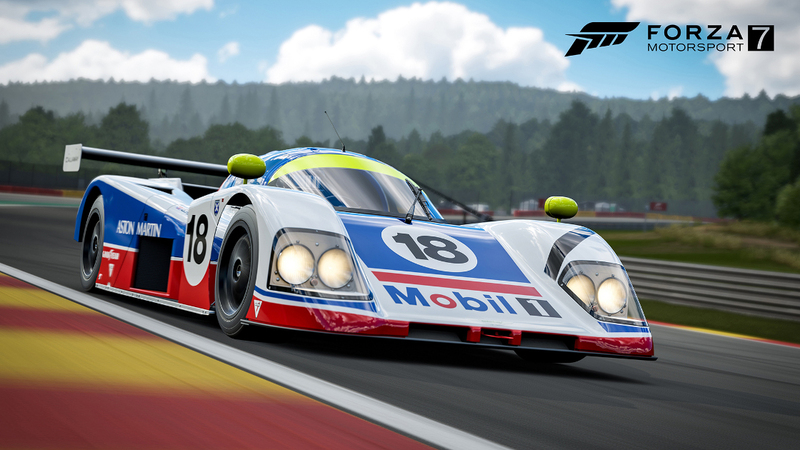 This article was published by Kyle Patrick (@SlipZtrEm) on August 6th, 2018 in the Forza Motorsport 7 category. TheOverdriver, FosterG, AlienDeathRay and 15 others like this. Well that's interesting. The main site says the car in-game is chassis 04, which is the same as the Sotheby's one you saw. But the livery in-game appears to be the 05 car's (no blue line across the nose, different mirror/banner colours). How... strange. ferhound and Gotbeefboy564 like this. Maybe they have slight changes for each car. I just noticed that the one I saw doesn’t have the blue lines by the lights. Also it looks like the one I saw just has two headlights instead of four? Looking forward to trying this thing. Sweet, looking forward to driving this. I hope there is a league event that includes it shortly, the racing in the higher tiers has been pretty good recently. Well it is Forza, there are a number of documented cases of them having inaccuracies, luckily its not game breaking stuff. I see a bug on the livery, it says “Mobil 1”. Northstar, Populuxe Cowboy and ShawnPhillips like this. Easy there... Anyway there is no "inaccuracies". The car in the photo has all four head lamps. The two inner lamps have covers over them. I'm sure that for 24hrs racing all lamps would have been uncovered. This is a cool addition, I honestly didn't know about Aston Martin entering Group C. Also yay, a mobil 1 livery! There were a few Aston Group Cs, my favorite being the Nimrod NRA/C2B, which has the stupidest name I've heard for a race car. There was also this weird thing called the DPLM, despite looking like a GT car it was actually a Group C that ran one race and crashed. im_seb30, breyzipp, Im_Lukas and 1 other person like this. Huh, the more you know. I kid you not, i had a friend in high school who's birth name was Nimrod. When is the August car pack coming? Good question. Hopefully one is on the way.